It's time for the first new review on the revamped website and this time it is a real treat. 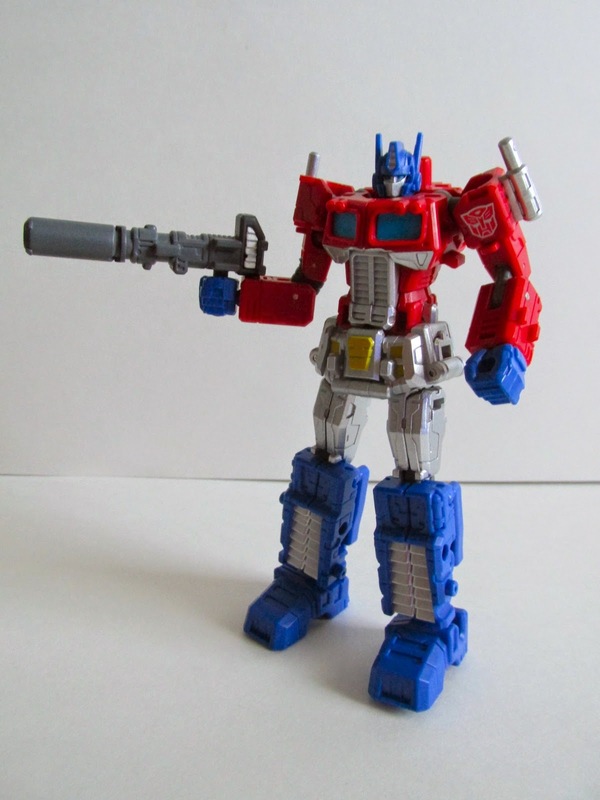 This past week I got the Optimus Prime Pen from Takara Tomy. This is a very unique Transformer because it can transform into a real working pen with blank ink. 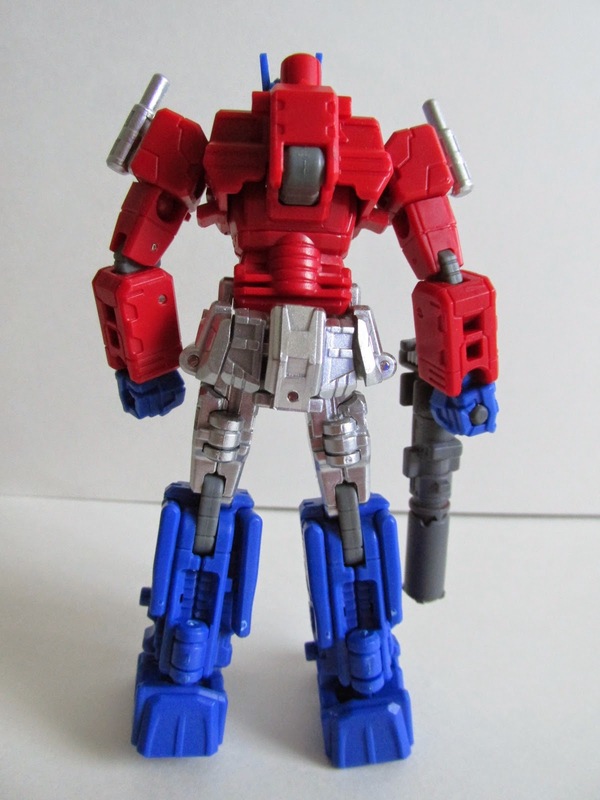 The Transformer is about 4 to 5 inches tall and is a fully articulated Optimus Prime. 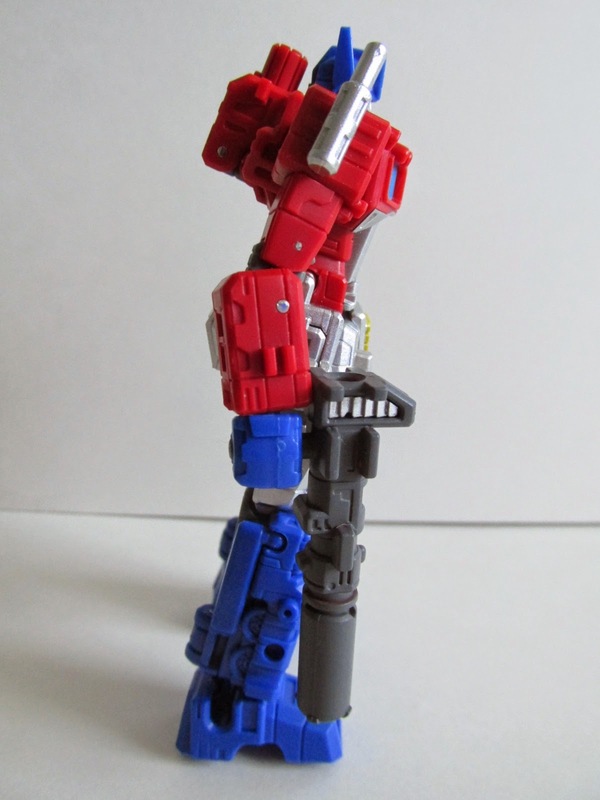 You can pose Optimus Prime in pretty much any pose and for the size of this figure it is quite impressive. He also comes with his gun that can be put in any of his hands. The pen itself is pretty awesome and is full of intricate detail that makes it look really heavy duty. The paint job on this figure is also done very well, and one can see how much the paint apps really pops on this figure. When you first transform the pen, it does take some practice and a little patience. There are a set of instructions, but it is still a little crazy to look at. This kind of reminded me of solving a rubix cube because of all the flipping of panels and moving of limbs. 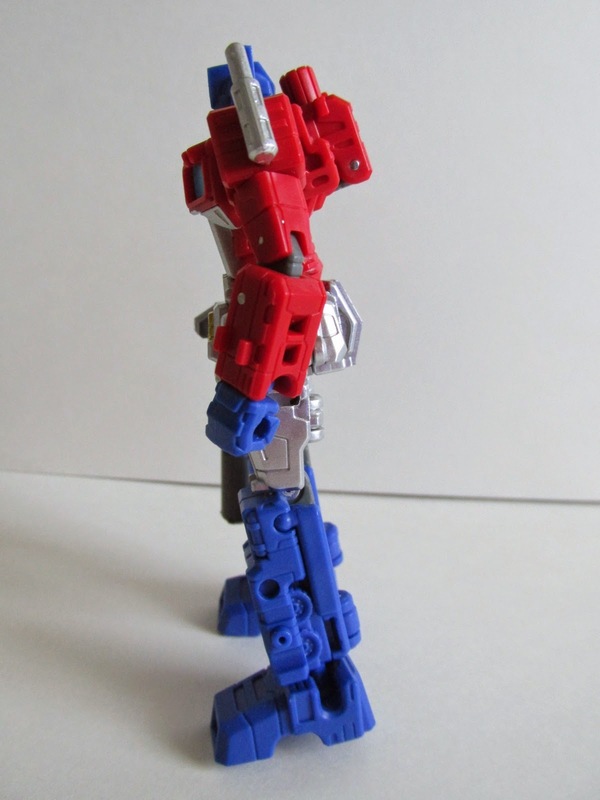 However, once you do it a couple of times, transforming to pen mode to Optimus Prime mode is super easy and really impresses people around you. This pen is a bit pricey, but also a very unique buy and addition to any collection. I'm really enjoying this pen and do write with this at work. I also pre ordered the black and white versions of this pen, which should be coming by the end of this month. If you don't have this original color way of this pen and you want it, I highly recommend buying it now before it sells out. Don't sit on the fence for this one!